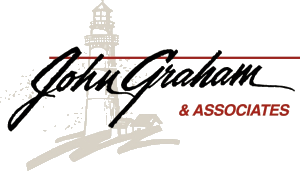 Employee Benefits Solutions - Group Health : John Graham & Associates, Inc.
John Graham & Associates, Inc.
Our custom plans can help employers save money on group health insurance. We can help you find coverage from top to bottom and beyond. We are committed to being your trusted benefits advisors now and far into the future. JGA offers a wide range of products to help businesses and not-for-profit organizations with their employee benefits needs, beyond their retirement plans. We specialize in group insurance products for small- to medium-sized employers, with benefits knowledge that comes from years of experience. Our team is dedicated to providing solutions tailored to each client’s unique needs. From group health insurance to life, vision, dental and disability insurance, we help employers find creative ways to design a program that fits the employer’s size, cash flow and risk tolerance. We have longstanding relationships with many popular insurance carriers and even a few you may not have heard of before. More options means we can truly focus on finding a solution that is right for your company’s needs. We are committed to you as an important client, not just a customer. Our goal is to develop a lasting relationship that allows us to become your most trusted advisors for all of your insurance and financial planning needs. Customer service is of the utmost importance. In an effort to provide the quickest, most accurate service possible, our team is available to assist in the day-to-day tasks required to maintain an employee benefit plan. Whether you are adding or terminating an employee, have questions about a claim or want to know the cost of adding a new employee, we are here to help. Information provided by Registered Representatives of Midwestern Securities Trading Company, LLC is neither tax nor legal advice. Investors should speak to their tax professionals for specific information regarding their individual tax situations. Securities, Insurance, and Investment Advisory Services are offered through Midwestern Securities Trading Company, LLC (MSTC). Member FINRA/SIPC. MSTC and JGA are affiliated. Check the backgrounds of these investment professionals on FINRA's BrokerCheck.